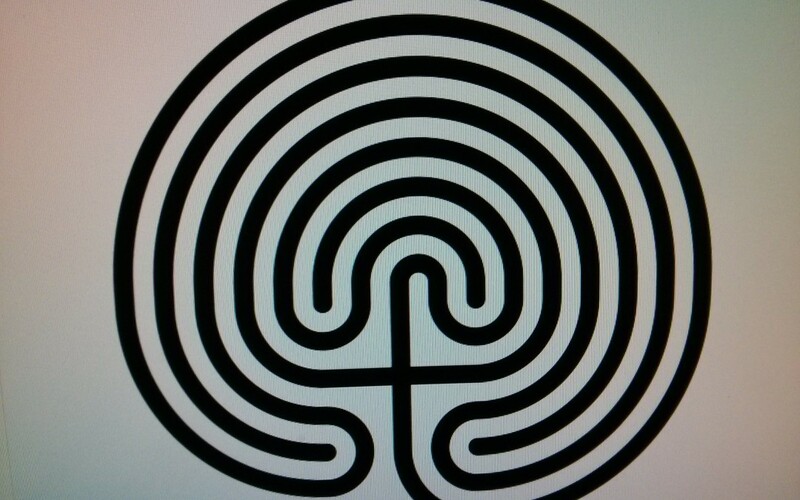 The ancient and sacred practice of walking the Labyrinth is a wonderful moving meditation experience. I was very fortunate to be able to join the Woodfloria team under the guidance of Linda to participate in this seven circle traditional Labyrinth walk earlier this week. The Labyrinth is a single path that leads in to a central point then leads back out. To walk or follow the path of the labyrinth is an experience that can reveal the metaphors of your current path in life, bring you in to the centre of mindfulness, and presents opportunities for self-reflection. Walking the Labyrinth is very calming on the mind and emotions. Everyone commented how calm and centred they felt afterwards. I have always enjoyed moving meditations, and felt a wonderful flowing feeling as I walked the Labyrinth. Thanks goes to Woodfloria and also Linda, who kindly facilitated the morning. Another Labyrinth walk is planned in the coming months and will be held in the Woodford area. Please contact Woodfloria or myself for further information. Take 3 slow deep breaths and then trace the Labyrinth diagram shown with the finger of your non dominant hand.